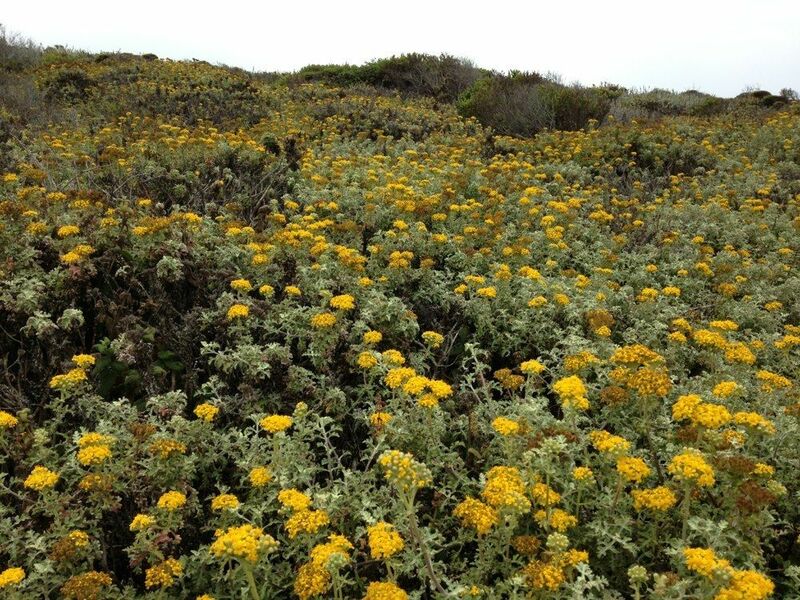 Andrew Molera South Boundary Trail is a 4.9 mile moderately trafficked out and back trail located near Big Sur, California that features beautiful wild flowers and is rated as difficult. The trail is primarily used for hiking, trail running, horses, and mountain biking and is best used from July until October. Dogs are also able to use this trail but must be kept on leash. A federal Northwest Forest Pass is required to park at the trailheads. Trail has not been maintained well. You can find it coming down from the ridge, but from the road, the trail disappears a quarter mile in and is next to impossible to find. Fallen trees and poison oak every where.